The British United Taekwon-Do Federation (BUTF) is Great Britain's premier Taekwon-Do (TKD) organisation. 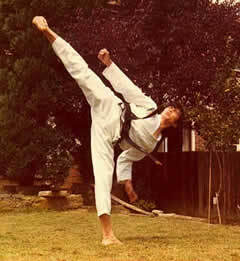 Taekwon-Do was founded in 1955 by Grand Master General Choi Hong Hi (9th Degree), with the purpose of producing the most powerful form of self-defence. Today this art is taught throughout the world and is enjoyed by people of all ages, colours and creeds. The BUTF was founded by Grandmaster Raymond MK Choy (9th Degree) on March 1st 1988, the lunar year of the dragon, tutoring the founder's (ITF) format. The BUTF continues to celebrate year after year of operations and over the period has produced many excellent martial artists.